Former Iraq hostage Norman Kember has said he helped fund Islamic preacher Abu Qatada's bail. Mr Kember, 77, a peace campaigner, said he did it in a spirit of "reciprocity and kindness" because Qatada had helped him when he was in captivity. The Muslim cleric made a video calling for Mr Kember's release while he was being held by a radical group in Iraq. Home Secretary Jacqui Smith was "disappointed" at the bail decision and wants Qatada deported to Jordan. He was convicted in his absence in Jordan of terrorist offences in the 1990s. Qatada, a Palestinian-Jordanian, last month won an appeal against deportation. The government is seeking to over-turn that. The home secretary promised to take "all steps necessary to protect the public". Qatada was being held in Long Lartin jail in Worcestershire after he was taken into custody pending his extradition. After being granted bail, he will be the subject of a highly unusual 22-hour curfew imposed by the Special Immigration Appeals Commission (SIAC). Mr Kember said if the preacher had been convicted in a fair trial he should serve a sentence, but he offered to help because he felt the cleric had been in prison for a long time without facing trial in a UK court. "If you want to keep him in jail you have to have good reasons for doing it otherwise al-Qaeda have you - if you don't follow your process of justice," he said. 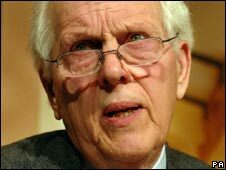 Although he had not spoken to Qatada personally, Mr Kember said, he had been contacted by his solicitors. His donation was in the hundreds of pounds rather than the thousands, he told the BBC. Mr Kember said he "expect to be criticised" for his actions and also confirmed he had sent the prisoner a copy of his book, Hostage in Iraq, although he did not know whether Qatada read it. He went on to say he believed Islam was demonised by the West and he hoped Qatada's release would encourage a conversation with Muslims. "I always think we are in danger of demonising Islam and I think we have to have a more open discussion about these things. The government obviously doesn't." Mr Kember also wanted people to try to speak with Qatada more to "understand what his position is and why he takes it". Mr Kember, a Christian activist from north-west London, was kidnapped in November 2005 by a previously unknown group calling itself the Swords of Truth Brigade. Also snatched were Canadians Harmeet Singh Sooden and James Loney, and American Tom Fox, who was murdered. 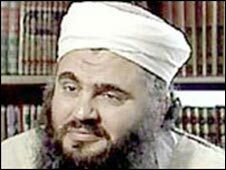 A month later Qatada made an appeal via video, made inside Full Sutton jail, near York, to the kidnappers asking for Mr Kember's release. It was broadcast in the Middle East. Mr Kember and the two other surviving hostages were rescued after almost four months in captivity following an operation led by British troops.